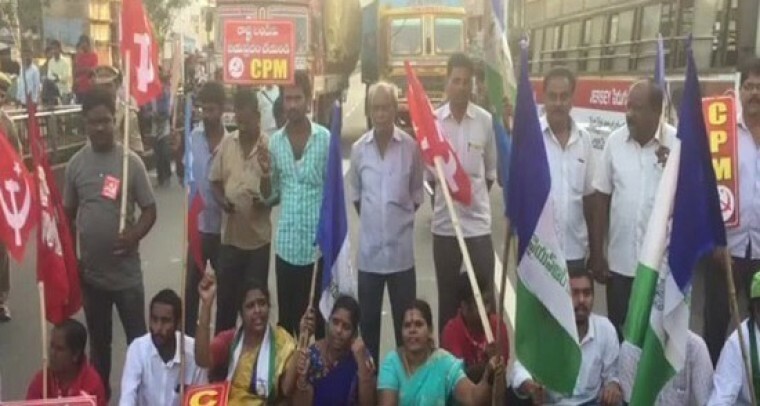 Left parties, Jana Sena, YSRCP and various social organisations have participated in the AP Bandh called by the Pratyeka Hoda, Vibhajana Hameela Sadhana Samiti today i.e on April 16th all across the state. In Vijayawada, left parties have launched a protest rally against the centre and shouted the slogans as AP Special Status is their rights. Irate protesters have burnt the effigy of Prime Minister Narendra Modi and they have also cremated it. Both government and private educational institutions have been closed due to bandh.